‘Take a hard bend in the rain, drive a bit too fast and you will run the risk of leaving the road, which occasionally proves fatal. Could we somehow anticipate this sort of risk and warn the driver in time to avoid the accident?’ Prof. Ali CHARARA, Director of the UTC-Heudiasyc Laboratory - co-author of “Vehicle Dynamics Estimation Using Kalman Filtering: Experimental Validation” with colleagues Alessandra CORREA-VICTORINO, Moustapha DOUMIATI and Daniel LECHNER - updates ‘Interactions’ about progress in this field. "If you really want to improve dynamic stability of a vehicle on the road, you must integrate various variables such as road surface adherence, the forces at play, tyre contact parameters with the road-surface, etc. 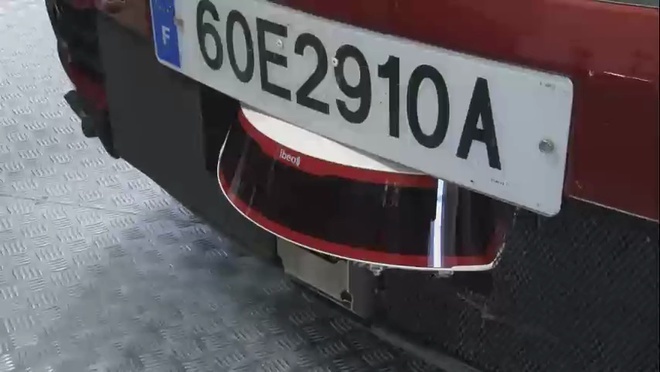 There are sensors capable of detecting and measuring these factors but they are very expensive, up to 150 000€ per wheel if, for example, we want to measure stress/strain between tyre and road surface; for this reason it is impossible economically to install devices of this sort on cars, independently of the desire to do so as expressed by car manufacturers". So how can we, queries Prof CHARARI, pursuing his introductory remarks, overcome this brake to road safety. The UTC-Heudiasyc Laboratory possesses some of these costly bench equipment units, and has installed them in a lab-vehicle. This alone is a special privilege compared with other labs in France. The scientists have developed new sensors, known as logic-sensors which are inexpensive and could replace the expensive models. "We are currently developing automated variable estimations to check the dynamic stability of the vehicle. We can verify the theory using the vehicle we have equipped. Of course, experimental validation is essential: so far we have been able to demonstrate that logic sensing provides the same results as the expensive sensors under real road conditions. When you are moving at 130 km/hr, your system definitely has to be able to calculate quickly!" adds Ali CHARARA. The book cited above explains the methodology developed by the Heudiasyc research scientists, sets out development details for estimations of the variables/parameters and how the algorithms were assembled and installed in the test vehicle. The book also gives the results and the validation process itself. "Part of our research work and software use is open source. What we wish to do here is to valorise the devices and logic for the industrialists who read the book and are interested in the method. Our overall aim is to see our software installed in all cars in the future! ", explains Alessandro CORREA-VICTORINO, senior lecturer and research scientist with the UTC-Heudiasyc Laboratory. What now remains is to create the interface with the car driver - and that is the work of the car equipment makers and designers.